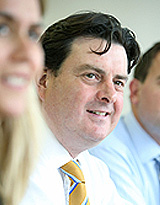 Andrew joined BPU in 2003 from Cardiff University and qualified as a Chartered Accountant in 2006. 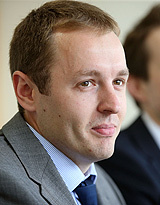 He was soon promoted to manager and became a Director of BPU in 2013. With over 10 years experience in the profession, Andrew has built a large portfolio of SME clients primarily in the media, leisure and construction industries. These companies range in turnover from £100,000 to multi-million pound businesses and groups based across Wales and South West England. Andrew also has extensive experience of dealing with the sale and purchase of businesses on behalf of clients and advises on business planning, strategy and raising finance. 'Huw is Managing Director of BPU and has been with the firm since 1999 having spent 10 years post-qualification working as an Audit and Accounts Manager for Ernst & Young in Cardiff. He has extensive involvement in advising small and medium-sized enterprises on financial and business planning issues and has assisted many companies to expand their operations and improve their business processes. He has extensive experience in assisting businesses both to identify and obtain grant-funding from UK and European grant bodies. 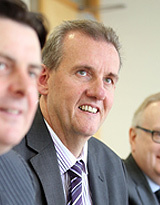 Colin joined the firm in 1990 and is BPU's Auditing and Technical Director. A long standing Fellow of the Association of Chartered Certified Accountants (FCCA) Colin is an Associate of the Institute of Chartered Accountants In England and Wales (ACA). 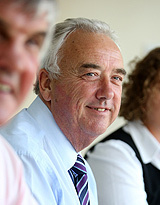 Colin also has a Diploma in Charity Accounting and deals with our not for profit sector and manages the audit/accounts/independent examiner review for a number of charities. He is also responsible for the delivery of accounting services to a number of WEFO funded projects and has direct experience monitoring and audit of WEFO funded schemes. In addition, Colin is also responsible for the audit and accounts work for many of the firm's SME clients through to larger organisations (turnover varying from £1m upwards to £40m). 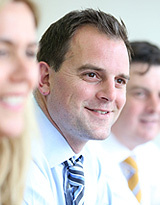 Nick is Director and Staff Partner focusing on audit, advisory and compliance as well as leading on corporate finance and transaction support services. Having trained with PwC he then worked in industry with Associated British Ports for over five years before moving back into practice. 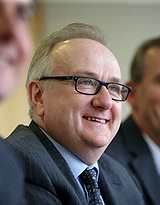 Nick served as a Director in the Cardiff office of national practice PKF before joining BPU. This range of experience gives Nick an excellent focus on business issues from practical experience in industry as well as a sound technical base. Nick has an engineering background prior to this and is also a former President of the South Wales Society of Chartered Accountants. Dawn has been with BPU for 10 years and was brought in to help expand the firm’s client base. Prior to joining the firm, Dawn spent 16 years with a medium-sized firm of Chartered Accountants in Bridgend, 11 years as Audit Manager. 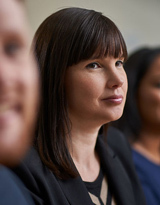 At BPU Dawn is part of the legal team and her client base is mainly made up of family-owned companies and un-incorporated businesses, but also includes Charities, government-funded organisations and professional practices. 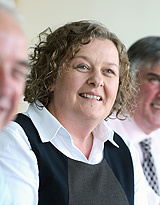 Dawn’s work has involved general business advice as well as traditional auditing / accounts and taxation work. 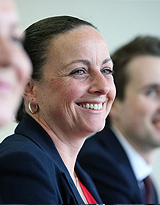 Lynette joined BPU in January 2006 as Practice Manager. She has a broad spectrum of expertise covering management, accounting and IT, gained over the last 20 years, mainly in the manufacturing and construction industries. Her role involves providing an efficient admin & accounting function to the practice, covering IT, financials, marketing, HR, student training, office admin, facilities, bureau services and workflow. Louise holds a B.A. (Hons) in PR and media studies from the University of Exeter, College of St Mark and St John and has extensive experience working in this field at management level. Louise has worked in marketing and PR for over 15 years in both a consultancy and in-house environment for a number of private and public sector clients. 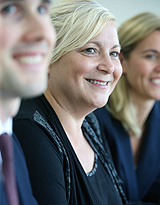 Louise is responsible for all marketing activity at BPU which includes the development of the firms marketing strategy in-line with the business plan. Louise works closely with the Directors at every step of the client lifecycle – from tracking trends and identifying opportunities, creating marketing campaigns and measuring client satisfaction through to sales and proposals, events, seminars, networking, social media and news releases. Louise is a member of the Chartered Institute of Public Relations and likes to focus on helping the firm participate in charity events and fundraisers. 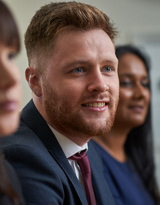 Joe joined the firm in 2014 after graduating from Swansea University and qualified as a Chartered Accountant following completion of BPU’s Graduate Training Programme. Joe is responsible for managing audit and accounts matters for a wide range of SME clients in both the private, public and charity sector. He has experience of working with a variety of companies in terms of both size and business sector. Joe delivers a wide range of services for clients including advice on software solutions, preparing financial forecasts and management accounts. He also provides the more traditional accounts and tax work for clients . Joe is the firm's ICAEW student councilor.